The Microsoft official Windows 7 blog is getting to be good reading (if you are into that sort of thing), they now reckon they have got it booting up in 15 seconds, which personally i think sounds good. It seems they are headed the right direction at last, considering XP takes anything between a minute and three minutes with a perfectly functioning PC, and even longer if not well maintained. According to Microsoft, Vista off the shelf takes 45 seconds plus, and even a fresh install takes in excess of 23 seconds. For Windows 7, we have a dedicated team focused on startup performance, but in reality the effort extends across the entire Windows division and beyond. Our many hardware and software partners are working closely with us and can rightly be considered an extension to the team. Startup can be one of three experiences; boot, resume from sleep, or resume from hibernate. Although resume from sleep is the default, and often 2 to 5 seconds based on common hardware and standard software loads, this post is primarily about boot as that experience has been commented on frequently. For Windows 7, a top goal is to significantly increase the number of systems that experience very good boot times. In the lab, a very good system is one that boots in under 15 seconds. For a PC to boot fast a number of tasks need to be performed efficiently and with a high degree of parallelism. Files must be read into memory. System services need to be initialized. Devices need to be identified and started. The user’s credentials need to be authenticated for login. The desktop needs to be constructed and displayed. Startup applications need to be launched. Bit more on Windows' next incarnation. As PC Watch reports, AMD showed an interesting slide during its presentation at the Cutting Edge IT & Electronics Comprehensive Exhibition (CEATEC) event near Tokyo. Under the title, "What to Expect in 2009," the AMD slide lists a number of items: the move to 40nm process technology, the arrival of the OpenCL general-purpose GPU API, widespread use of GDDR5 memory, consumer GPGPU applications, "HD+" televisions, and... Windows 7. To be more specific, the slide says "Windows 7 and DirectX 11" on one line. PC Watch doesn't say much on the subject, so it's not fully clear what AMD was referring to there. Perhaps the firm let slip Microsoft's release schedule, or perhaps it's just talking about getting drivers working with pre-release versions of the OS. Judging by the context, though, it certainly looks like AMD expects Windows 7 to come out next year. A 2009 launch sounds plausible, too. Microsoft has apparently been cutting fat from the OS by removing apps like Windows Mail, Windows Photo Gallery, and Windows Movie Maker. Also, recent reports have claimed Microsoft's internal calendar sets the Windows 7 "gold" date in early June. According to ZDNet's Ed Bott, Microsoft would have to trim the OS's beta cycle to get it out before next summer, but that schedule "would be downright leisurely compared to the one Microsoft followed for Windows XP, which was launched in October 2001, only 20 months after its predecessor, Windows 2000." Curiosity about the new OS is unprecedented as many people view the new OS as Microsoft's attempt to atone for the shortcomings of Vista. While Vista was a solid OS with many new features and improvements, it failed to surpass the growth of the wildly popular Windows XP and also fell short in business adoption. Analysts blamed a variety of causes from poor support from hardware partners to factually ambiguous attack ads by Apple. Now for the first time, a large list of features from Windows 7 has seen the light of day, following the leak of some features a couple days ago. The biggest new feature is the taskbar overhaul. The new taskbar looks foreign indeed with no text. It is filled with icons for easy program selection. Also new to the taskbar is the option to access "jump lists" with a quick right click. For example, right-clicking the Windows Media Player icon allows you to access playlists without having to open the application or waste time fiddling with menus. Finally, hovering over items on the taskbar generates helpful previews. As to those hoping for a lighter build, it looks like your dreams may come true. Windows 7 Chief Steve Sinofsky held up his "personal" laptop during the demo. It was running Windows 7 flawlessly on a 1 GHz processor netbook (probably using a VIA processor) with only 1 GB of RAM. It was running very smoothly, with over half the RAM free to use. Though using 512 Ram doing nothing is still too much in my eyes, will 7 show its arse in this area too? Apparently, there is a Pre-Release BETA of this available from some sites where they do torrents or something like that?? I heard a 32 Bit and a 64 Bit are both on there. Bit of an update from Dailytech, there is an apparent flaw with the UAC in 7. When Windows Vista was launched, it brought to the table a new feature that was supposed to safeguard the user: the User Account Control (UAC). However, the useful feature, which could be disabled, became the source of a great deal of the OS's early criticism due its warning messages which some users found irritating. With Windows 7, Microsoft decided to switch gears and is offering a less nosey UAC in the beta version of the OS. This move was the subject to much early praise. However, it may have now backfired as a blogger Long Zheng, who runs the blog Start Something, has detailed a proof-of-concept attack against the new Windows 7 UAC. Windows 7 will be released in 6 different versions (gotta love Microsoft!) each varying in price and performance, here is the run-down of the intended final versions. With improved boot times and overall system responsiveness through all versions, Microsoft believes these engineering investments will allow small netbook PCs to run any version of Windows 7, and allow customers the flexibility to purchase a system which meets their needs. It has also improved support and optimizations for Solid State Drives, targeting both netbooks and notebooks. Expanded features were requested by corporations for the Enterprise Edition. Virtual Desktop Infrastructure allows Windows 7 to be run as a virtual machine. Branch Cache is a file caching option for branch offices of large corporations, designed to reduce access times to centrally managed files. DirectAccess is designed for corporate networks based on Windows Server 2008 R2, which is the server version of Windows 7. AppLocker is a centrally managed, rule-based group policy program for specifying which applications can run. Enterprise Search was designed as a highly secure, manageable, server-based search system. It enables users to search remote document repositories, SharePoint sites, and Web applications. Windows 7's Search Federation uses an Open Source standard named OpenSearch. Users can select which sites are available for searching, or the IT department can populate the list by using Group Policy. The search results are presented in Windows explorer much like local files, with rich views, file details, and previews. The data for all editions is contained on a single DVD. This allows an electronic upgrade to be accomplished quickly, once Microsoft sends the electronic authorization to your computer. Theoretically, you can upgrade from the Starter edition to the Ultimate edition within fifteen minutes. Microsoft sees the sales of the Windows 7 product lineup in a bell curve. The vast majority of sales will be Home Premium for consumers and Professional for businesses and enthusiasts. The majority of Windows sales will be 64-bit, with over 75% of total sales through OEM installations. However, the true value of Windows 7 can only be determined when compared against its cost. Microsoft has not yet released any pricing information. After looking through all the feedback Windows 7's public beta version received, Microsoft added 36 changes to its Release Candidate. While some of them are only of "cosmetic" nature, others are quite essential and increased performance and various compatibility fixes are only two of the many benefits you can expect to see. Apparently, Microsoft is being careful this time around though, and tries not to repeat mistakes it previously made with Vista. Therefore, don't expect any drastic changes or even a radical remodeling of Windows 7. The main focus was on the desktop, as it accounts for 10 of the 36 changes. A full list of changes to date can be found here http://blogs.msdn.com/e7/archive/2009/02/26/some-changes-since-beta.aspx and its good to see that Microsoft are steadily moving in the right direction. If we can believe Microsoft’s Partner Program website, we’ll see Windows 7 RC drop on May 5th for the public. There were reports that MSDN subscribers were able to download the new Windows 7 version, but it turns out to have been a slip up on Microsoft’s part by posting a page early.
" As the next-generation operating system from Microsoft, Windows 7 opens new development, sales, and services opportunities for your business. With Windows 7, you can offer your customers a robust foundation for high-quality experiences across applications, services, PCs, and devices. We are pleased to announce that Windows 7 Release Candidate (RC) is available. Windows 7 RC is the prerelease version of Windows 7. Since this is not the final release, your PC will gather and send information to Microsoft engineers to help them check the fixes and changes made based on testing of Windows 7 Beta. Test-drive Windows 7 RC today to see for yourself—and to show your colleagues and customers—how Windows 7 delivers improved management, security, reliability, and performance. 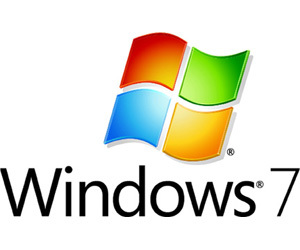 Download Windows 7 RC Partners: If you have a subscription to MSDN or TechNet, you can download Windows 7 RC now. Otherwise, you can download Windows 7 RC starting May 5, 2009. " It appears to be valid information, and this would put the RC release a bit earlier than expected. Windows 7 is Microsoft’s followup to Vista, and is already receiving praise as a stable operating system (more so than Vista anyway). From personal experience, Windows 7 will definitely be worth the upgrade. Experts pin the launch of Windows 7 either late 2009 or early 2010. Now available at your local torrent site, the Release Candidate. In the Windows 7 beta it was impossible to separate desktop icons from gadgets under the View setting available by right-clicking on the desktop. Now there is the option to hide just your gadgets or just your desktop icons. Aero Peek is now enabled for Windows Flip (or more commonly known as ALT + TAB). Pressing Windows Logo + # (where # corresponds to an item's order in the taskbar) in the beta would only launch the program in Windows 7. In the release candidate, it can both launch and switch between Windows. For example, if IE wasn't running and the second item on the taskbar, Windows Logo + 2 will launch the program. If IE is running with a single window, the same shortcut will now switch to the program. When IE is running with several windows or tabs, holding down the Windows Logo and tapping the 2 key repeatedly will actually cycle through the open IE items off the taskbar (with Aero Peek). Letting go simply switches to the corresponding window. It works really similarly to the ALT +TAB shortcut. First, the taskbar's thumbnails now support a gesture so you can drag your finger across the taskbar and it will trigger Aero Peek. The Show Desktop button is improved so a press-and-hold will allow the customer to peek at the desktop. A regular tap still allows you to switch over. Multi-touch zoom is now enabled for Windows Explorer. Clicking on the battery icon in the taskbar notification area offers two different power plans: Balanced and Power saver. Windows 7 laptops are configured to use the Balanced by default. Now in the popout menu, you can see all three options. There is even more increased space on the taskbar now. The release candidate will feature 24-39% more icons before the taskbar scrolls (depending upon resolution, icon size and the default notification area). When there are too many things pinned to Jump Lists, it defeats the whole purpose of easy access. Jump Lists now only automatically suggest the first 10 items (there is still the option to customize the length of the list). Now you can also pin files and folders to programs that are not handle that file type. Pinning the item in most cases will create a new registration so that launching it from the Jump List will always open the file with that specific program (ex. a pinned HTML file to Notepad will always open the file in Notepad). The Control Panel jump list will now list your most recent items. When a program is installed, it automatically and temporarily surfaces at the bottom of the Start Menu. It lets the user see it, giving them the option to launch it or drag it to the taskbar. There will be two changes to the release candidate to UAC settings. The first change is that the UAC control panel will run in a "high integrity" process (thus requiring elevation). The second change will now prompt for a confirmation when you are changing the level of UAC. I do wonder if they will do a deal for people with vista.. its seems thay are almost admitting its floored..
Just so you know i have heard that Technet subscribers will get the Windows 7 Release Candidate when it is released soon. So, check your subscription if you are a subscribed techie. The Release Candidate is available for normal public release now from http://www.microsoft.com/windows/windows-7/download.aspx it is freely available until July and there is no limit to the number of activation keys available to you. Please note these specifications could change. And, some product features of Windows 7, such as the ability to watch and record live TV or navigation through the use of "touch," may require advanced or additional hardware. The 32- and 64-bit versions of Windows 7 RC are available in five languages: English, German, Japanese, French, and Spanish. Just choose the version that fits the system you'll be using, pick your language, and click go to register for and download the RC. An eagle-eyed Bith Tech reader discovered a Microsoft webpage which outlines the shutdown strategy for both the Windows 7 Beta and Release Candidate. PR and windows 7? how has anyone got it to work? I`m guessing its a punk buster thing? I have it running fine, on Windows 7 64 bit, and have had it running fine for nearly a year now? I do get kicked via PB on a PB Enabled server, but thats an evenbalance problem, and will be resolved when win 7 is released to retail. You shouldn't be kicked by PB on windows 7. I'm running it find on 64bit RC 7100 build. PB had it messed up for a while, then released a server side change to avoid the kicks. While Windows 7's requirements (a 1 GHz x86 processor, 1GB of RAM for 32-bit or 2 GB for 64-bit, and support for Direct X 9) are similar to Windows Vista, its install footprint is leaner (16 GB for 32-bit versus 20 GB in Vista, 20 GB for 64-bit versus 40 GB in Vista) and its memory usage is tighter (some users have run the release candidates on systems with less than 1 GB of RAM). All of this adds up to significant improvements over Vista and a modern OS capable of running on most netbooks. Great graphical looks, touch functionality, and new UI options make the package even sweeter. However, no matter how nice the ride looks, it's always good to look inside -- for example, the snazzy OS X Snow Leopard may look slick, but is incapable of playing most games and will only run (officially) on Mac hardware. With that in mind let's look at a recent benchmark by CNET of the Windows 7 RTM build. Interestingly, the results were mixed. Boot times, despite dedicated tweaking from Microsoft were slightly worse than in Vista SP2 or XP SP3 (by over a second). Shutdown times, though, showed much improvement over the slow XP, and even some improvement over Vista. Since the 7100 build, Windows 7's performance in Microsoft Office and iTunes has improved significantly. In the Office benchmark, though it still gets beat by both Vista and XP (the overall leader) and it manages to now tie with XP in iTunes (ahead of Vista). In a final Cinebench benchmark, Windows 7 performance improved between the 7100 and 7600 builds, moving it ahead of Vista and just behind XP. Gaming results should be coming soon, which should provide more interesting analysis of the new OS's true performance. In the meantime, though, the verdict seems that despite mixed performance against XP and Vista, Windows 7 holds its own. As the experience and feel are much smoother than the previous two OS's, the standstill in performance, normally a bad thing, probably will be sufficient for Windows 7 to see great commercial success. Windows 7 completes Vista's ascent into a OS X level of user interface polish, while holding its ground in performance, something that has placed Windows ahead of competitors Linux and OS X. Aside from a minor squabble about the User Account Control's security settings, that it later relented on, Microsoft's Windows 7 beta and release candidate builds have met with little criticism and plenty of praise. The builds have offered performance surpassing Windows Vista noticeably, while at the same time improving further on Vista's level of graphical polish. And notably they have been seemingly free of almost any show-stopping bugs. However, Microsoft is now in code-red panic mode as a major bug has been found in Windows 7's RTM build, one which threatens to kill the OS's release party. The RTM build -- 7600.16385 -- thus far only received by a handful, features a reportedly massive memory leak in the unassuming, but frequently used program chkdsk.exe.